A new online auction is giving you the chance to grab a friend and join Stefan Lessard and the Dave Matthews Band as their special guest on Friday and Saturday, July 11 & 12, 2014 for two nights of live music at the Xfinity Center in Hartford, CT. But wait – there’s more! The auction also gives you the chance to join Stefan and Adam Gardner of Guster on Saturday July 12th for a Stand-Up Paddleboard experience hosted by L.L.Bean Outdoor Discovery School. •	2 Tickets in the Orchestra Pit directly in front of the stage for 2 nights! •	Access to a backstage VIP Lounge both nights. •	Special parking for both nights. •	Exclusive Backstage Tour highlighting the tour’s greening efforts with Reverb. •	A guided shopping trip to choose items from the DMB summer tour merchandise line to take home. •	2 Stand-up paddle boards from L.L.Bean. 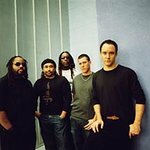 Proceeds from the auction will benefit REVERB as part of DMB’s BamaGreen Project environmental efforts. Co-founded by Adam Gardner of Guster, Reverb provides comprehensive, custom greening programs for music tours while conducting grassroots outreach and education with fans around the globe. The auction closes on July 8, and can be accessed here.